I'm sure when people think of Australia, they think of koalas, beaches, Paul Hogan and the desert among other things. The first thought (or ten) might not be the food - like if you were travelling to Italy, France or Germany, say. But I'm here to tell you - we have some pretty good food and if you ever find yourself in my neck of the woods... make sure you try these things. First up, you need to open your mind. Broaden your horizons. If you are travelling to a different country, you should want to do and try new things. It won't be like home and if you want it to be - you should stay home. Mmmmmm pav. My favourite, I miss it so much. One day I will learn to make it. It's basically a delicious mix of crisp and soft meringue, topped with whipped cream (not cool whip or the like, but actual cream) and fruit. Mum puts chocolate on it too. So good. 2. Meat pie or sausage roll. You know how you guys get hot dogs and nachos and stuff at sporting events? These are our versions of that. You can get them almost everywhere, some fancier than others. Slather on some tomato sauce and eat it straight from the bag the bakery put it in. I might have to revoke my Aussie card after I say this but... not a huge fan of Tim Tams. I know, I know. But most people are, and you might be too, so you should definitely try this chocolate biscuit (not your kind of biscuit). When I do eat them, I dip them in my tea and drink out of them. It's a thing, I promise. All that being said, if you put a packet of Tim Tams in front of me, I will inhale them because I inhale everything. 4. Vegemite on toast (or bread). I would not recommend most people eat this because it's an acquired taste for sure. No offense, but most Americans I see try vegemite, they slather it on like peanut butter or stick the jar under their nose for a big whiff. Attention: don't do that. I'd prefer you not try it at all because it hurts my feelings when people don't like it, but if you do - first put some butter on (I personally don't like butter, but lots of people do with vegemite) and then sparingly (spar.ing.ly.) spread the vegemite on toast (it spreads better on toast than bread). If you don't like it, don't tell me. 5. Sausage sizzle at bunnings. Ok, it doesn't have to be from Bunnings. Bunnings is a large chain of hardware and DIY shops - like Home Depot. 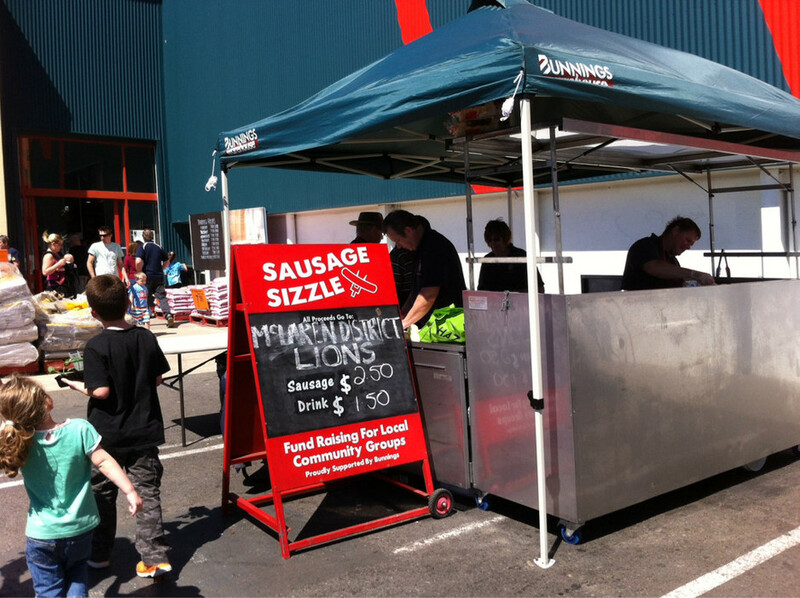 Every Saturday, local charities set up a sausage sizzle at pretty much every location. About $2 will get you a barbequed snag (sausage) with tomato sauce (ketchup) on white bread, and for a little extra (like 50 cents) you can add some grilled onions. It's better with one slice of bread, but you can do two if you want more than one snag. You can have a sausage with bread at any old bbq, but it's better at Bunnings - It's hard to resist the smell when you rock up and it's almost worth a trip alone! Side note: sausages in general are better at home. They aren't the same as they are here. They're kinda gross here, sorry. They aren't like breakfast sausages either. Preferably by the beach, with a potato cake on the side. FYI if you're in Melbourne, it's potato cake. If you're in Sydney, it's potato scallop (or just scallop, I know, it's confusing). But either way the fish n chip people will know what you're talking about no matter where you are. Oh, if you're in Melbourne - get a dim sim as well. 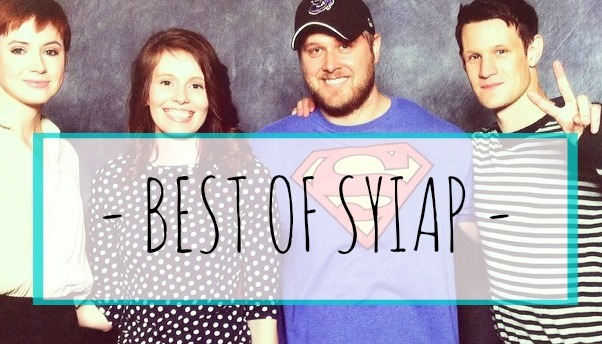 They're the best there. Yum. I personally did not try either of these until we went in June, and only because KC got them and I had a bite. The kangaroo meat is very lean and you can get it in the grocery, it's quite popular. You might feel sad - but people eat deer, don't they? Kangaroos are like rodents at home, they are not cute furry pets. I'm not saying it's okay to eat them because they aren't pets, I'm just saying your perception of them is not the same as ours. You won't find these at every restaurant you go to, but if you see them you should try them - don't be afraid. You might be wondering why I'm recommending a whole lot of meat when I'm not even a big meat eater. If you try anything on this list, it should be lamb. Except if you're a vegetarian. But really. I don't eat lamb in the US because no-one does it like we do. Because we love our lamb. Ok, this might tie for favourite. Vanilla sponge cake dipped in thin chocolate icing and coconut. Yum, yum, yum. When we went to Disney in 2012 during the food & wine festival, there was an Australian cart thingy and they had lamingtons so I of course bought it even though it was overpriced. I might even try and make my own one day. Personally, I like the store brand ones from Woolworths, They're cheaper and yummier. You can even get them in 'bite size' like you won't eat the whole pack. This isn't food, but golly I miss a good milkshake and I urge you to get one. Krispy Kreme or Wendy's (Wendy's not like your Wendy's, same name, different type of restaurant - ours sells ice cream, doughnuts, hot dogs and milkshakes) have good ones, but you can't go wrong really, unless you go to McDonalds, then you'll get what we call a thickshake - which is like your milkshake. There is nothing wrong with those, I just prefer a good old fashioned milky milkshake. Of course there are a zillion other things I would like to add to this list (twisties, killer pythons, caramello koalas, anything my mum cooks, iced vovos, anzac biscuits) but I'm trying to keep it simple. Also, I'm not saying these things are only in Australia, or that we invented them - on the contrary, you can get them lots of places like NZ, the UK or even Epcot. Ha. I had all of these things (and more) when I went back home in 2014 but barely took any photos because I was too focused on eating it immediately. Next time I'll be better. I've had this post in my drafts for ages, and I thought the last Wanderlust Wednesdays was a good time to finally post it. Any of these things sound good? I'm kinda hungry now. 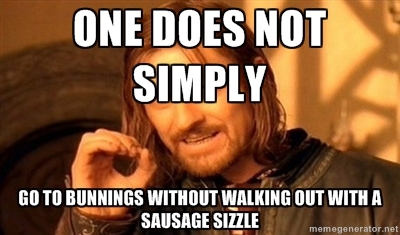 We never have cash when we see the bunnings sausage sizzle! We always do a big bbq when people come visit and Trav grills kangaroo and lamb. We always have to get fish and chips when we go the beach. Love this post! I've tried Tim Tam and Lamingtons, really nice! I like that the "sweets" in Australia are not really that sweet and just taste right. Pavlova is mouth watering! I'll look for that when we go back. but I'm so intrigued by Vegemite. I cant even imagine what it tastes like. Is it something you can even find in regular stores? or is it a specialty thing? This brought back a flood of memories from my trip to NZ and AUS nine years ago. I ate pavlova, a crocodile meat pie, kangaroo, vegemite ('cause how often would I get the chance to eat real vegemite in Australia), meatamite (which I think was more a NZ thing than AUS), and a couple of Tim Tams. We even did something called a "Tim Tam Slam" or something where you slurp Milo through the Tim Tam (sounds sort of like what you describe with your tea.) Don't feel bad, I wasn't a big fan of Tim Tams either, although everyone else I was with absolutely loved them. The first kangaroo I saw in AUS was dead on the highway and the kids I was chaperoning got very upset. I remember our tour director saying, "Kangaroo are the roadkill of Oz, mates. You don't cry every time you have a dead whatever beside your roads back home, do ya?" 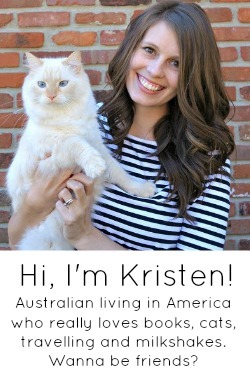 Fun, post Kristen! Have a great day! It is so funny that you posted about Australian food today. Just last night Drake told me that we have to go to Australia for the food! :D He watches a ton of food documentaries on Netflix and apparently there are a bunch of them about Australia. I have tried alligator. I wasn't a fan, but some people love it. I wonder if crocodile would taste similar. We had pavlova on our cruise through Greece and it was DIVINE! We also had an Aussie couple at our table and they told us about the history of who invited pavlova and it was a fun learning experience too. TimTams sound fun…not sure about crocodile. *meant to say not sure about kangaroo, I've had alligator so figure crocodile tastes similar. I don't get why people eat vegemite if it's such an acquired taste. And I'd have to be the person who smells the jar first, so then I'd probably never eat it. Lowe's does the sausage thing in the US but I'm sure it's different. Oh Pavlova sounds soo good. There is a coffee shop near my house and the owner is from Australia. He sells quite a few different Australian foods. I will have to try something next time I am there. Also- I LOVE tim tams. Is that called a tim tam slam when you drink out of it? I've heard that but not sure if it's the american term or whatnot. Hmm... 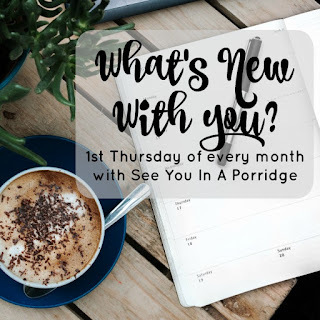 There are a handful of things I think I would like and a handful of things I wouldn't like- but I'm always so curious to see what other countries snack on! Pavola sounds pretty good to me! And Tim Tams! I'm sorry but I have to say it. Not a fan of Vegemite. However, I've never tried it with butter on toast, so I'd definitely be willing to try it again, the proper way! Is potato cake/scallop like french fries? And what's dim sim? I could totally go for some meat pie or sausage sizzle right now... mmmm. I've always wanted to make pavlova because they look so gorgeous but they intimidate me a bit. I watched the Barefoot Contessa make one once and it seemed simple, but chefs always make things seem simple! LOL! I plan every day around food, so it would be no different traveling to Australia. I would definitely try everything you recommended because when in Australia ... but I couldn't do the Lamingtons, which sounds amazing except for the shredded coconut. Maybe they have a version without it? um, you had me at "meat pie". YUM! These all look so very good. 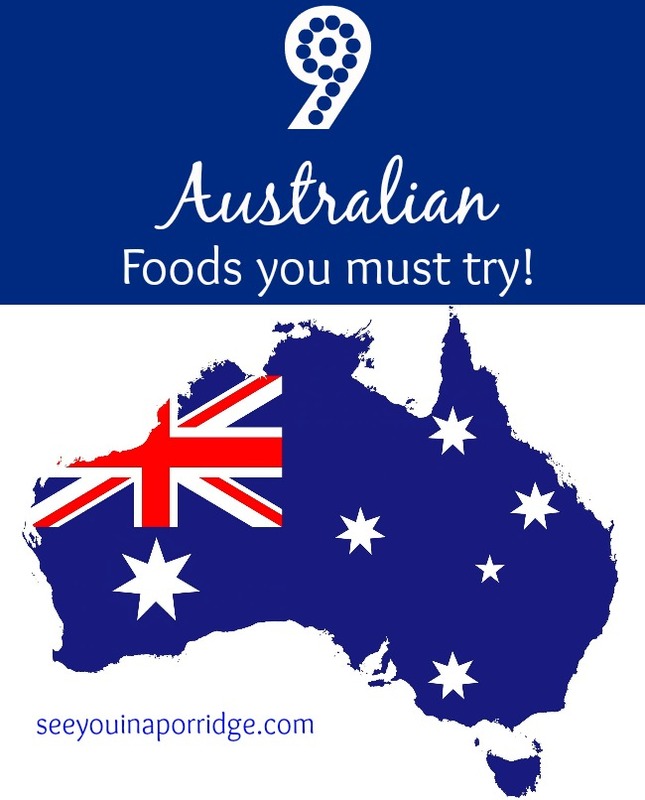 I'd loe to try these foods IN Australia. My husband and I both really want to go but it'll prob be a few years. I really feel like I could enjoy the food there. I'm with you when I go anywhere new I do not want to eat the food I know from home. I want to try something new and different. I love lamb but I'm sure the lamb I'm use to is not what you're use to. And I could really eat some meat pies or sausage rolls! Lamb is so good and that pavlova looks amazing! Caramel Tim Tams are my jam. And yes, sucking up coffee/tea through them is so so good. 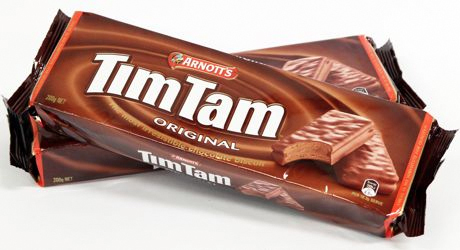 A lot of local grocery stores randomly carry Tim Tams now though. At least where I am! I freakin love sausage rolls. So good. Also found some random pub in Sydney that had the best fish and chips ever. I was in this club at Macquarie called "W.A.N.G." aka We All Need Grub and it was like $5 for the semester and they had a few sausage sizzles (I guess, I never heard anyone call it that) and you could just eat for free since you paid the fee and it was the best club in the world. I remember being weirded out about using the bread as the bun at first though. Hahaha. I tried Vegemite on toast and I spread it suuuuper thin like you said, and it wasn't that bad. I do think a lot of people just spread it on thick and then they hate it. It all looks and sounds amazing to me. I'm always up for trying new things especially when I'm in a different place and want to learn about their culture/foods! 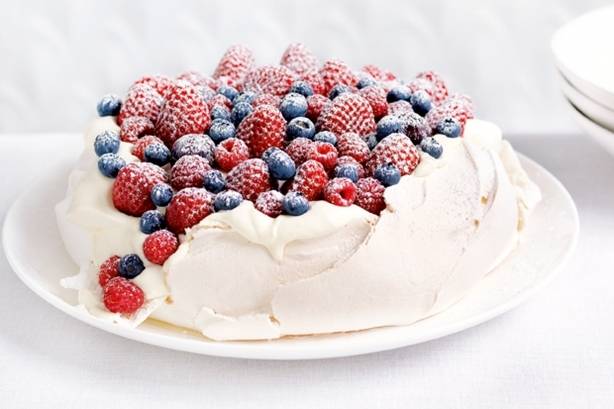 Pavlova looks delicious! You have me wanting to research to see if we have an authentic Australian restaurants in Orlando so I can get some lamb and pavlova for desert! I've tried alligator but not crocodile so I'm curious to know how they differ. I loved this post!! I can't understand why we don't have things like sausage sizzles and sausage rolls and meat pies here. They seem like exactly the sort of thing Americans would love! And I can't believe I didn't realize it was common to eat (or at least sell) kangaroo meat there! I feel kind of silly about that one. But not judging you all for eating them. Personally I think it's hilarious how any society decides that one sort of animal is completely fine to kill and eat but they act shocked and kind of snobby when another society eats a different type. It's all arbitrary. I've never heard of lamingtons but that sounds divine, and I had no clue you had a different type of milkshake, too! I feel very educated today so thanks for that! A post all about food!!! Yes please!! I'd totally try all of it!! Give me all the sausage sizzles and lamb and pavlova! This made me starving and I just finished lunch! I'm probably going to take a pass on all the meat options ... except meat pie, of course. Have you been to World Market? They might have many of these things. There's also Jungle Jim's in Cincinnati -- I haven't been but I've heard they have TONS of things from all over the world. The pavlova looks delicious! And Tim Tams ... they really need to put more of them in each package. 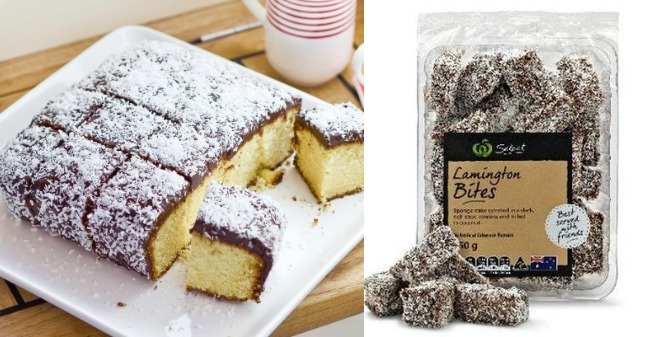 Lamington sounds delicious-- cake dipped in chocolate?! I always think of tim tams because one of my cousins went for a summer and they were all the (food) rage when he got back. What is the vegemite flavor? Is it similar to anything or is it just totally different. I've had tim tams and mehhh. Sorry! Lamington and the sausages are right up my alley. I once had a Kiwi who was living in Aus but temporarily residing in the US invite herself over for a weekend (long story and I was totally cool with it) spend a great deal of time explaining to me all about meat pies. And I know a Kiwi is not the same as being from Aus. Loving this list though. And that video! lol!! I like Tim Tams, I got a package from BzzAgent a few months back and have bought at least two since then. Fish and chips is Chris's favorite thing to order when places offer it. Give me all the foods! These sound awesome! I'll totally try the non-sugary ones when I make it to Australia! And Christopher will try them all! Pavlova is my favorite thing ever! And I definitely need to try kangaroo, lamb and Vegemite! Thanks for the suggestions! So many feels in this post! It makes me miss Australia so bad. And pav. Mmmmm pav. Also I get really confused at fish and chip shops with the whole scallop thing. It's the same here, too - it means a potato thingy, but then occasionally you'll go to a fancy fish and chip shop and they actually serve scallops. Anyway... We have Marmite here which is basically the British version of Vegemite, and I'm not sure about it so I'm not trying Vegemite just in case. Who knows, maybe it will turn out to be a secret love of mine?! P.S. 2 words: Chiko roll?! When we went on our food tour in NYC we stopped at an Australian place in Chelsea Market, and the meat pie was so good! I would definitely try it again! I've had alligator here, so I wonder if crocodile tastes similar! I don't know if I could try kangaroo, but like you said y'all view them differently than us. They're definitely not pets! YES to milky milkshakes! 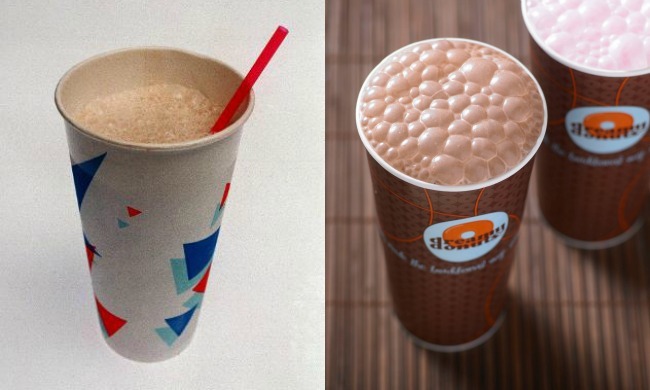 I remember when I first moved to the US I was SO disappointed that milkshakes are mostly thick here. I adore pavlova (and totally love that it was named after a Russian ballet dancer! Haha). My mom is obviously not Australian, but she is an amazing cook, and her pavlova is SO good. I'm bummed you don't like Tim Tams! I also think sausage tastes different here in America. I don't really like it. The sausage sizzle sounds amazing! Also, I really really want to try a lamington! I've tried a few of these things and liked them all! Caramel Tim Tams with a coooold glass of milk = glorious. I still want and plan to visit Australia though. I already know I won't be able to eat kangaroo meat. It really would make me sad lol. Guess I'll prepare to be called a wimp by my Australian server. I didn't know that half of these things were popular Australian foods! I HAVE tried tim tams...can't remember where...maybe when I visited Canada? Oh yum ... Now I want to try a bunch of new things! What is Vegemite exactly? I've heard the name (of course) and know it's a spread, but I don't really know what it's made of or what it's supposed to taste like. I always imagined it was made from vegetables because of the name, but I honestly don't have a clue. 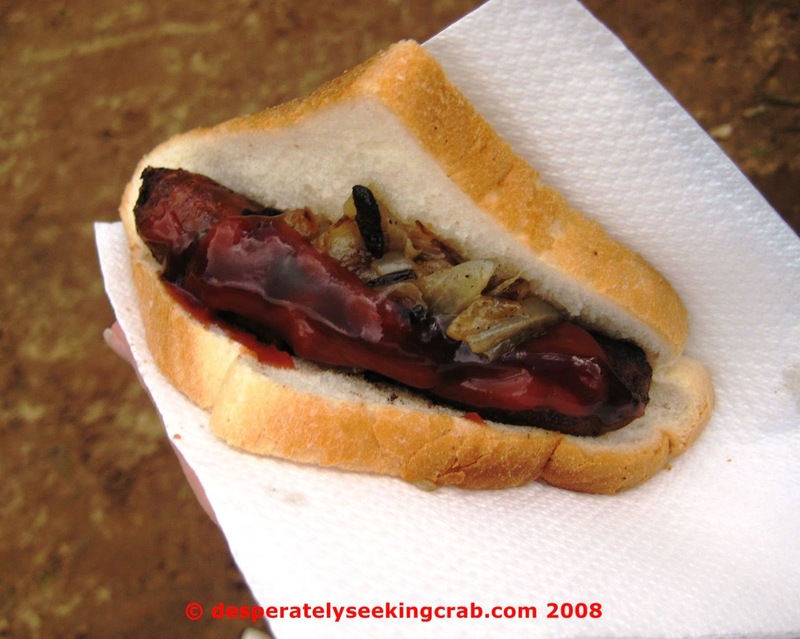 What do you think is different about Australian sausages? Are they made from different kinds of meat? Are they made from different parts of an animal? I know the ones in America can seem pretty disgusting if you take the time to read the ingredient list, but I mostly try to avoid that because I enjoy sausages and don't want to know what horrific things were combined to make them. Haha. Is crocodile meat similar to alligator meat? I've eaten alligator sausages a couple of times and fried alligator once (kind of like tiny chicken nuggets), but I didn't know if there was a major difference between the two. (I really don't know the difference between a crocodile and an alligator anyway ... I think one may be larger, and they might live in different areas, but I'm really just guessing based on things I feel like I heard/read a long time ago.) I would totally eat kangaroo. I love lamb, so now I'm curious about the Australian way to make it! We make it at home sometimes, but not as often as I'd like because it's expensive. Now I really want to get some the next time we go to the grocery store. Mmmm! I feel silly that I'm asking so many questions about food, but you know me ... I love food, and I think it's really cool and interesting to learn about how it's prepared in other places! Pavlova and Lamingtons both look super yummy! I am sad to say that I only had one of these foods when I went to australia! fish and chips at iceberg's for the win! I totally think of kangaroos and koalas, but also the Mary Kate & Ashley movie "Our Lips Are Sealed"...I know nerd lol! I remember them trying the vegemite and being so grossed out, but I guess if you eat it correctly it can be good. Pavlova and Lamingtons sound SO yummy!!! My fiance is a HUGE fish n chips guy since he is from London, but I've never been brave enough to try it. The only thing I tried is the Tim Tams and those are pretty good :)! Tim Tams, oh so good!! I love your Australia posts, they always make me miss it such an amazing country! Okay I will definitely be sitting out the kangaroo and lamb (never have, never will; I don't eat venison either but I guess to each their own right??) but all the rest of this looks so interesting. I mean it sounds all kinds of yummy, but I also just love and am super intrigued by how food is so different from culture to culture. Especially because so much of it becomes part of the identity or the whole experience. Like here in NJ we have Taylor ham, which is a breakfast meat that pretty much just does not exist anywhere else. A few other places in other states will have it at bagel places, but usually the case is that the owner of the store is from NJ and grew up with Taylor ham. Everyone here knows it and has an opinion about it. It even differentiates between north Jersey where we call it Taylor Ham and south Jersey where they call it Pork Roll. Why? No idea. It's just a part of our state-wide consciousness. Anyway. I think food and culture is super interesting. I love your Aussie Posts! My brother lived and worked in WA a few years back and brought some vegemite back for us to try! I gave it a sniff and was not impressed by he showed us the "proper" way to enjoy it and it thought it wasn't half bad! I laughed SO HARD at what you said about sausages there vs. here. Because I feel the same. Except opposite. I like sausages there SO much more. HA. I do like myself a meat pie though. Okay I admit, a lot of these sounded gross to me. Lol. But that pavalov dessert sounds amazing! I had no clue that people are kangaroo! That pavlova looks & sounds delicious! I might have to figure out how to make it! MMMmmmm! Most of these sounds like something I would try. Maybe not the koala (but I don't eat deer meat either). My friend spend a semester in Australia and got hooked on Tim Tams! I was able to try some from a package she brought back. YUMMY! Tim Tams and Lammies. Yummy! And god knows I love a good pavlova!! I need to get to Oz, now! I've tried them all but #9! I need to track that one down! I've told you this before, but there's an Australian bakery here in Atlanta. I stock up on their meat pies for the winter. It's a comfort food for me! I want all of this. Like right now. Especially a pack of Tim Tam's because now I'm just intrigued by them. Now I'm really, really hungry! We have a wild game restaurant about an hour away and I've tried kangaroo before. It was pretty good! Okkkk. So I need to try the Pavlova, Snag (seriously lol'ed when I read that - I loved your post on Aussie words a million years ago), and tim tam. We raised lamb growing up, but I hate to say I have never eaten lamb. I know that good lamb IS hard to find in the US, though. We just don't cook it here and that makes me sad. I would TOTALLY be up for some Aussie lamb!